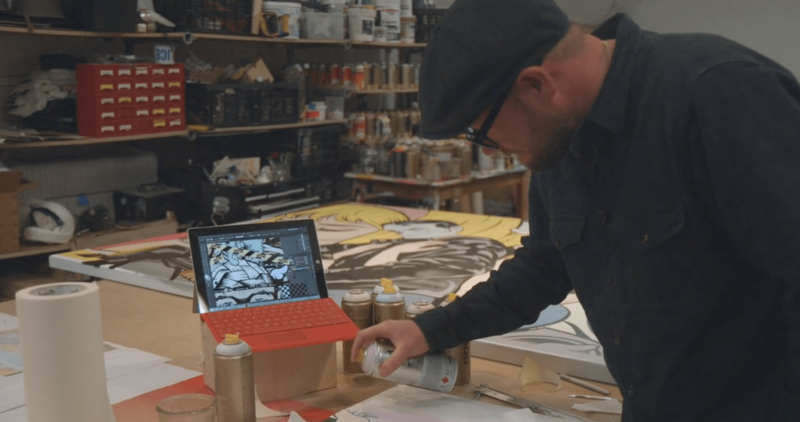 To celebrate the launch of Surface 3, Microsoft teamed up with 11 of Britain’s hottest contemporary artists to create ‘The Art of Doing More’ – a pop-up exhibition of 101 new pieces of art inspired by Surface’s ability to empower people to do and achieve more. 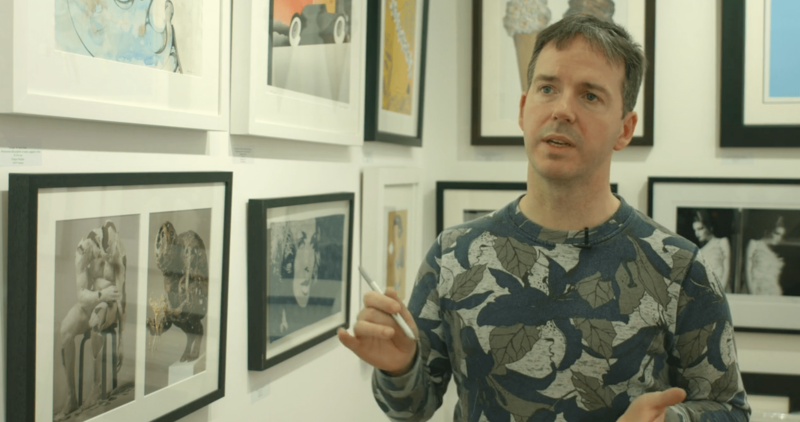 We spent a day with some of the artists behind the exhibition and found out how they use Surface. 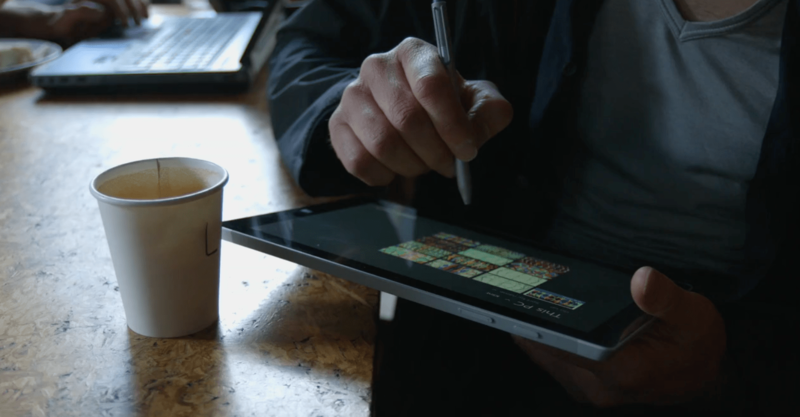 To support the launch of Microsoft’s Surface 3 ExposurePR briefed Bear Jam to document their activity. 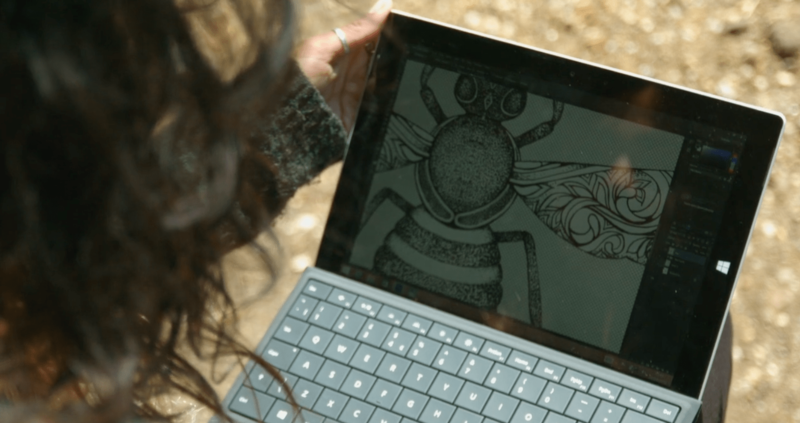 This involved filming and interviewing some of Britain’s hottest contemporary artists as they created ‘The Art of Doing More’ – a pop-up exhibition of 101 new pieces of art inspired by Surface’s ability to empower people to do and achieve more. To complement the artistic subject matter we worked with a Director of Photography who had a eye for a bold frame and dynamic camera moves. Bear Jam produced the film along with a campaign wrap video highlighting the results.